The Vice-Chancellor has appointed six Advisers to the Vice-Chancellor to work with the University Management on a number of university-wide issues. These are Campus Gotland (Olle Jansson), internationalisation (Anders Backlund), equal opportunities (Cecilia Wejryd), research infrastructure (Kristina Edström), sustainability (Anna Rutgersson) and good research practice (Stefan Eriksson). During the spring, they are appearing as guest bloggers here in the Vice-Chancellor’s Blog to write about developments in the areas for which they are responsible. 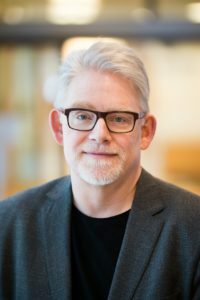 This week’s guest blogger is Stefan Eriksson, Senior Lecturer at the Centre for Research Ethics and Bioethics (CRB) and Adviser to the Vice-Chancellor on Good Research Practice. Today (Monday), Swedish Radio’s investigative journalism programme Kaliber examines the systems in Sweden for investigation of misconduct in research and tells what by now is a rather well-known story about microplastics and perch that took place at our University. The programme identifies several important issues. One of them is the means available to report, investigate and rectify such problems in research. At Uppsala University, the Board for Investigation of Misconduct in Research is responsible for investigating whether research has complied with good practice. The question is how long the Board will continue to exist in its present form: in all probability, we will soon have a new system for such investigations (in Swedish). Another important issue is how to expose questionable research. What sometimes happens is that a colleague becomes suspicious and blows the whistle, as in the case described in Kaliber. At other times, technical aids can be used to reveal irregularities. One example of this was when the Australian cancer researcher Jennifer Byrne became doubtful about a number of articles concerning a gene associated with breast cancer and childhood leukemia. The articles proved to be profoundly problematic, as they described the functioning of the gene incorrectly and in addition reinforced one another so that other research faced a distorted picture of the state of knowledge. Shocked by the number of articles affected by the problem she had identified, she decided to do something about it: she is now developing software that takes a DNA sequence described in an article, runs it against a database and determines whether it actually behaves in the way the article claims. This story points to another important question: how are we to prevent misconduct, deviations from good practice and questionable research? It also indicates that the problems and the responses to them may not always appear as we would expect. My remit as Adviser to the Vice-Chancellor is to think strategically about the issue of preventive measures. A key question then is why exactly researchers violate good practice or go wrong. The answer may take many forms. Without claiming to give an exhaustive account, let me present a few typical cases – four, to be precise. I will start with the most unusual type and end with the type that I perceive to be most common. The fraudulent. This is perhaps the figure we most easily imagine, particularly when we read a newspaper article or watch a documentary about research misconduct. This is a person who actually deliberately invents data or exposes research subjects to excessive risks. While such cases may be spectacular and outrageous, these people probably account for an extremely small proportion of those who violate good practice. To combat such fraudulent or dangerous behaviour, the community has traditionally demanded clearer rules and exemplary punishments. Several more stringent measures of this kind are on the way. For example, we will soon have new legislation on ethical review, handling of research data and biobank research, with a clearer division of responsibilities and tougher sanctions for breaches of ethical principles. The current movement towards open science, driven particularly by the EU, is probably even more important. When research can be thoroughly scrutinised and is accessible for peer review and public inspection, it is much more difficult to escape detection. The deceived. Some of those who violate good practice do so because they themselves are the victims of fraud. They do not intend to deceive others or to cheat, but fall prey to the lures of those who want to profit from the desire of researchers to publish their research (perhaps for career purposes). One example of this is publication in ‘predatory journals’ – journals that falsely claim to be leading journals in their field and to have peer review, to be indexed and to have an impact factor. These days, any association with such journals is regarded as an unacceptable breach of good practice according to the leading guidelines in the area (pdf). Even if some people no doubt deliberately choose to publish in such a journal, all the cases I have so far encountered in Sweden have occurred without any apparent intention to mislead. To prevent more people from being deceived, we should teach researchers and students about this and similar phenomena, and make it easier for them to find information about which journals they can trust. At present, there is an unofficial list of journals and publishers that should probably be avoided and the University is looking into the possibility of testing a commercial and more reliable service for this. The ignorant. Considerably more breaches of good practice than those listed so far arise out of ignorance. Many researchers have not understood that they actually have an obligation to submit their projects for ethical review. Many are also uncertain how much processing of others’ texts is needed to avoid plagiarism; this also applies widely to undergraduate students. People often know relatively little about rules and guidelines on saving, copying and archiving research data. In a recent article, Nature reported that they had demonstrated by the largest survey of its kind to date that research team leaders overestimate their knowledge about and ability to check what is going on in their team. Better routines are needed here, more templates, clearer information – and well-considered training in taking this on board. Doing the right thing must be easy – legal assistance should not be required to understand what is expected of you. The University and responsible authorities have a lot more work to do in this area. I regard this as a priority issue. Follow-my-leader. The most common ethical problems in research, according to several empirical studies, are often perceived to be unproblematic by the people carrying out the research, or are regarded as so prevalent that they cannot be avoided. Examples include listing people as co-authors of articles to which they have not contributed, reusing certain passages from the research team’s past output, and dividing up the reporting of research into as many articles as possible, with the associated risk of fragmentation and perhaps being misleading (pdf). What these types of questionable practices have in common is that they are something people learn from those around them. People quite simply do as others do, or are ‘forced’ to adopt this behaviour just to join in at all. These are practices that exist in research cultures, that one is expected to accept for the sake of a successful research career. Messages to the effect that these practices are not accepted can easily appear naive or unrealistic – and there is no doubt it can be difficult to object to or question them, particularly for a junior researcher. Reducing this problem requires a change in the culture itself and insistent efforts to explain why these practices undermine scholarship and science. Highlighting examples of sound cultures that have an awareness of these matters and yet are successful will help younger researchers to understand that they may have a choice: it is not the case that ‘everyone’ who succeeds in the world of research tries to take shortcuts or shows poor judgement in matters of research ethics. On the contrary, caring about the credibility and honesty of research, and the respect it enjoys, can be considered commendable and lead to success. In conclusion then, many different circumstances may explain why a person deviates from good practice in research. There is no simple solution for reducing such deviations. Efforts are needed at many different levels and in many different ways. There is obviously a great need for further strategic thinking on these issues.